My favorite time of the year is arriving! The holiday times are the best time of the year and one popular beverage related gift is the home soda making, SodaStream. I will lucky enough to get mine about a year or two ago to review and I have been using it ever since. 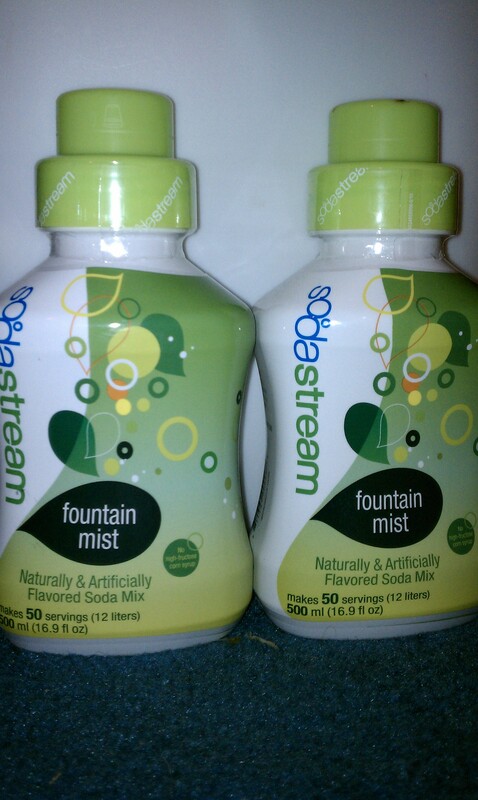 I currently have a overloaded amount of my favorite Sodamix, Fountain Mist. That’s where all my readers come in. I am trying to jump start this blog and want to get my readers actively participating. To win these two Fountain Mist Sodamixes I want you to do something very simple either Tweet to @Thirstrate or Like me on Facebook and post your favorite holiday beverage. This contest will end at 11:59 PM EST and only US and Canada residents are eligible to win! Disclaimer: This prize is just the Sodamix for the Sodastream machines. The Sodastream machine is NOT included with this prize pack. I know it is nothing crazy but Eggnog for sure!